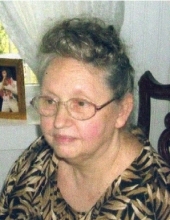 Virginia Louise “Ginger” Easterling, age 76, of Olive Hill, passed away Tuesday morning, January 29, 2019, at her residence. "Email Address" would like to share the life celebration of Virginia Louise "Ginger" Easterling. Click on the "link" to go to share a favorite memory or leave a condolence message for the family.